Early on the morning of Tuesday, April 30th, thirty-two year-old Evyatar Borovsky from Yitzhar (the father of five children) was murdered by a Palestinian terrorist whilst standing at a bus stop at the Tapuach junction in Samaria. 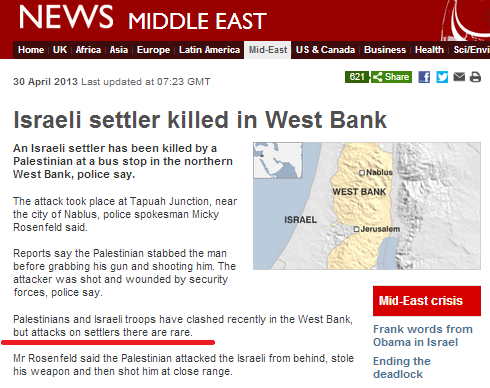 An article on the subject titled “Israeli settler killed in West Bank” appeared in the Middle East section of the BBC News website shortly afterwards. 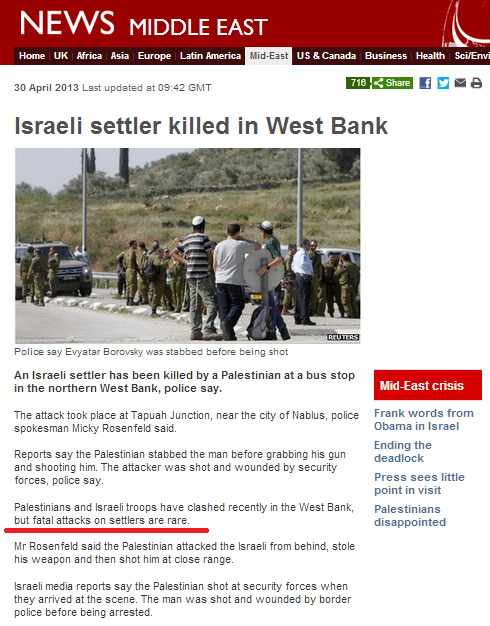 Interestingly, the BBC writer found it necessary to describe the Israeli man as a “settler” both in the headline and the article, although audiences would have understood the sentence perfectly well without that political addition. The use of the word “killed” does not reflect the fact that the assailant was in prior possession of a knife and stabbed his victim from behind. In the UK, that would most likely be described as murder. 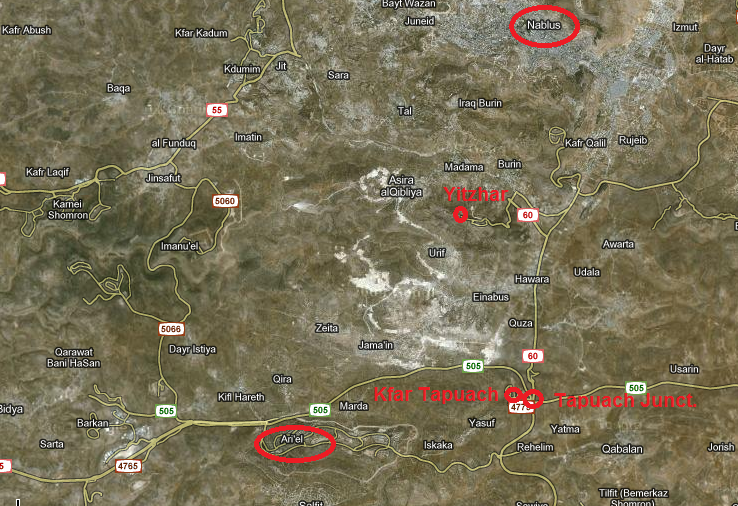 Tapuach Junction is of course actually near Kfar Tapuach and is closer to Ariel than to Nablus (Schem). “Reports say the Palestinian stabbed the man before grabbing his gun and shooting him. The attacker was shot and wounded by security forces, police say. That, of course, is a complete BBC fabrication. Indeed, since September 2011 there have, fortunately, been no fatalities as a result of terror attacks in Judea and Samaria, but that is not through want of trying, as the family of Adele Biton – who is still fighting for her life after the stone-throwing attack on her mother’s car in March – is only too aware. In March 2013 the Israel Security Agency reported 101 terror attacks in Judea and Samaria. In February, 100 attacks – 84 of those fire-bombings. January 2013 saw 56 terror attacks in Judea and Samaria, including the stabbing of a teenager at the same Tapuach Junction. In December 2012 eighty-one terror attacks took place in Judea and Samaria and in November 2012 there were 122 attacks. That means that in the one hundred and fifty-one days from the beginning of November 2012 until the end of March 2013, four hundred and sixty terror attacks took place in Judea and Samaria. That is an average of over three a day. Judea and Samaria are 125 kilometers in length and between 25 and 50 kilometers wide, with a total area of 5,860 km2, and with the areas under the control of the Palestinian Authority off limit to Israelis. The English county of Cumbria is 907 km2 larger than the whole of Judea and Samaria. If the residents of Cumbria were to suffer an average of three daily terrorist stabbings, shootings, fire-bombings, IED attacks or attempted murder with rocks thrown at moving vehicles, we can be pretty confident that the BBC would not describe such attacks as “rare” – even if they did not end in fatalities. Not only is this latest attempt by the BBC to downplay and whitewash Palestinian terror against Israeli civilians living in Judea and Samaria a gross breach of BBC Editorial Guidelines on accuracy and impartiality, it is also quite frankly repugnant. Update: It appears that approving messages of support for the murderer have been posted on the official Facebook page of Fatah – PA president Mahmoud Abbas’ own party. We will of course await the ensuing BBC update to its report. Whilst the amendment is welcome, it contributes nothing towards accurately informing BBC audiences of the scale of terrorism against Israeli civilians in Judea and Samaria and still airbrushes the intentions of those perpetrating the daily attacks out of the picture. “Fatal attacks” – i.e. murder – may not be a quotidian event, but attempted murder certainly is and the BBC’s whitewashing of that fact continues to compromise its reputation for accuracy and impartiality. For those who have not yet had the chance to watch the BBC Two documentary “Israel: Facing The Future” with John Ware which was broadcast on April 17th, here it is. Whilst the programme does have its inaccuracies, all in all it is clear that – for once – a genuine effort was made to present an objective, well-rounded picture of a complex subject and that a good deal of background research must have gone into making the documentary. Although the cameraman is not named on the relevant page of the BBC website, the film includes some stunning shots, often peppered with good humour. 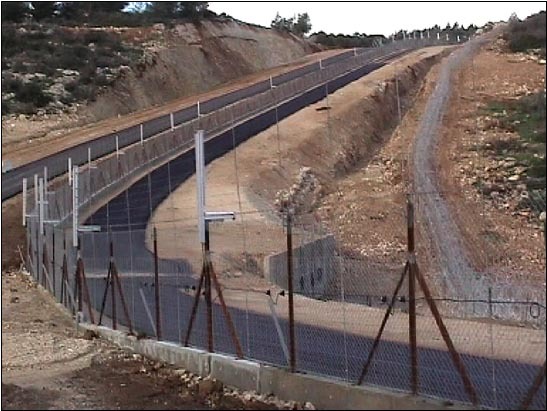 A few of the more notable inaccuracies include the presentation of the anti-terrorist fence as a “concrete separation wall” – although to Ware’s credit he did at least explain why it was built in the first place. The claim that “Palestinians here [in Area C] are stateless” was not balanced by a clarification of the fact that the vast majority of Palestinians living in Judea & Samaria do so under Palestinian Authority rule. The description of Avrum Burg as “leader” of the Israeli peace movement was probably somewhat over the top: many Israelis – even those on the Left of the political map – would dispute that Burg’s ideas have anything to do with peace or that he leads any kind of mainstream ‘peacenik’ movement. And at its narrowest point, Israel is of course 9.3 miles wide – not twelve. The claim that since the idea of a two-state solution “was first discussed” (one presumes Ware means the Oslo accords), Israeli communities have “moved ever deeper into the territory” [Judea & Samaria] is in itself disputable and the assertion that this would make it “harder to dismantle settlements” is speculation which ignores the Israeli record of dismantling communities in the Sinai and the Gaza Strip. Ware states that “The West Bank has been under Israeli control since 1967 when Israel defeated Arab armies threatening to attack”. Of course that is a very superficial description of the Six Day War and one which ignores a whole host of factors sparking the conflict – for example the closure of the Straits of Tiran by Egypt and the expulsion of international observers from Sinai – as well as the fact that Arab armies did considerably more than “threaten”. That particular point was the subject of a complaint made by a reader to the BBC about Ware’s film. The surreal answer he received appears below. In addition, Ware states that “Israel was reluctant to part with the new territory” [acquired as a result of the Six Day War]. 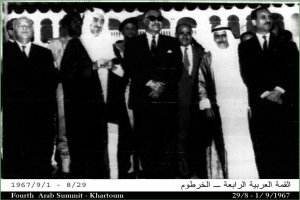 That very superficial representation airbrushes out of the picture the Israeli government’s hope of being able to broker peace deals with the surrounding countries after the war and the response of those countries in the form of the Khartoum Declaration. There are additional inaccuracies in the programme – some of which are addressed here – but overall it was refreshing to see an attempt to portray Israel beyond the usual jaded clichés. Two BBC-related (rather than Israel-related) points did strike this viewer though. One came as a result of Ware’s statement that during Operation Cast Lead “what the world saw were pictures of dead Palestinians”. That, of course, is in no small part due to the mainstream media’s focus on such pictures according to the old adage ‘if it bleeds, it leads’. The media in general – including the BBC – clearly needs to examine its own responsibility for the fact that world opinion on the Arab-Israeli conflict has been shaped to no small degree by the stories it elects not to run (such as Israeli civilians in bomb shelters) as well as those it does highlight. Another point for consideration comes from the sub-text of the documentary which implied that Israel’s standing in the world – and indeed the justification for its existence and its future – depends upon its being a peace-orientated secular democracy. It is telling to observe that neither the BBC nor the abstract phenomenon known as ‘world opinion’, which it helps shape, has revealed similar concerns in relation to other countries. Nobody dreamed of suggesting that the existence of Egypt or Tunisia should be subject to discussion when religiously motivated governments came to power in those countries. In fact, the BBC in particular was notably enthusiastic about what it saw as the display of democracy at work during the ‘Arab Spring’. ‘World opinion’ (along with the BBC) is not dissuaded from supporting attempts to establish a Palestinian state either by the lack of a culture of peace or the existence of extremist religiously-inspired ideology within Palestinian society. Neither does the fact that the Palestinian people have not been able to exercise their democratic right to vote for their leaders for over seven years appear to prompt questions from their financial supporters – or BBC documentaries. Hence, the impartiality of the underlying suggestion of this film that Israel’s future is threatened by a “shrinking secular majority” must necessarily be examined for double standards within the broader framework of BBC approaches to the wider world. Predicting the future in Israel (and the Middle East in general) is a notoriously reckless business, as those of us who believed that events such as the signing of the Oslo Accords or the disengagement from the Gaza Strip hailed a brighter tomorrow well know. So whilst the underlying assumptions in Ware’s documentary may have limited value, it was nevertheless refreshing to see a BBC production which did try to go beyond that organisation’s standard approach. 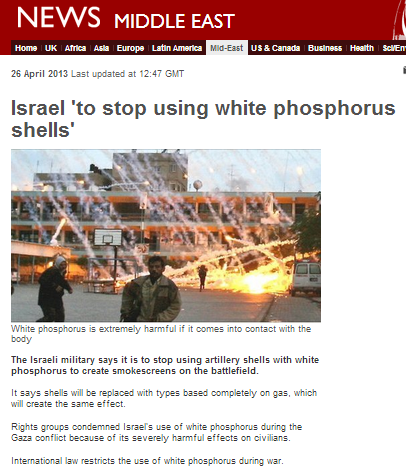 An article entitled “Israel ‘to stop using white phosphorus shells’” appeared in the Middle East section of the BBC News website on April 26th 2013. This badly composed piece uses a recent announcement – relating to the intention to replace smokescreen shells containing white phosphorus with an alternative – as a hook upon which to hang old insinuations and accusations. “The Israeli military says it is to stop using artillery shells with white phosphorus to create smokescreens on the battlefield. But immediately after that, the report goes downhill by creating fictional linkage between the use of smokescreen shells containing white phosphorus – which are not restricted in weapons conventions – and types of munitions which are not the subject of the article and are not used by the IDF. “Rights groups condemned Israel’s use of white phosphorus during the Gaza conflict because of its severely harmful effects on civilians. What would the average reader understand from those two sentences? He or she would comprehend that during “the Gaza conflict” (it is not made clear which one, and so most readers would automatically remember the last surge of conflict five months ago), Israel had used munitions containing white phosphorus in contravention of international law and against civilians. That, of course, is an inaccurate representation of circumstances. The report’s subsequent ‘explanatory’ paragraphs are no better. Readers already familiar with the region’s history now learn that in fact the article relates to ‘Operation Cast Lead’ in late 2008/early 2009. “Three years ago, Israel promised to draw up new rules on the use of shells containing white phosphorus, in the wake of the Gaza war. The report neglects to mention that – according to Hamas – around half the Palestinians killed were terrorist combatants. The article then goes on to unquestioningly repeat old claims made in the self- discredited ‘Goldstone Report’ and (yet again) by the compromised NGO ‘Human Rights Watch‘ without making any effort whatsoever to explain to readers the events of the intervening three years – such as the Hamas admission above – which have undermined many of the claims made at the time, or the results of professional investigations into the accusations. “During the offensive, Israel used white phosphorus rounds in densely populated areas, the UN and Human Rights Watch said. Part of a UN compound burned down after it was hit by chunks of the burning chemical which ignites on contact with air. The BBC report rounds off with ‘explanations’ about white phosphorus – the trouble being that those explanations have only partial relevance to the original story and do not make sufficiently clear the differentiation in weapons protocols between the substance’s use as a smokescreen (as used by the IDF) and other uses. “As a weapon, white phosphorus is used to mark enemy targets and to produce smoke for concealing troop movements. It can also be used as an incendiary device against enemy positions. Its effects however can be extremely harmful. If burning white phosphorus lands on a person’s skin, it can go through to the bone. 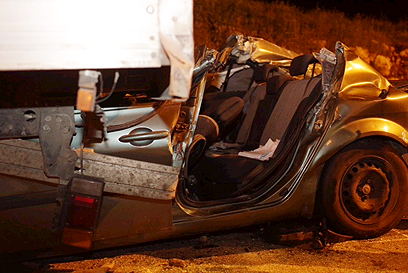 Toxic phosphoric acid can also be released into wounds, risking phosphorus poisoning. By failing to make sufficiently clear the legal status of smokescreens and by deliberately introducing into the story confusing and unnecessary references to incendiary weapons, this BBC report implies by omission wrongdoing on Israel’s part – in clear breach of BBC Editorial Guidelines on accuracy and impartiality. In order to be completely fair, we waited a full 24 hours before writing up this story. 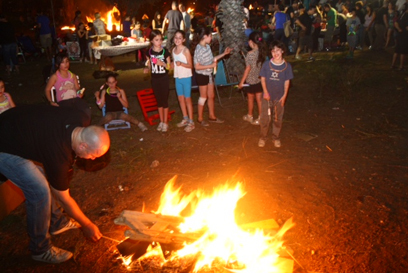 On Saturday night (April 27th), as children all over Israel went out to light their bonfires in celebration of the Lag B’Omer holiday, a missile fired from the Gaza Strip hit the Sdot Negev region. “There were no reports of injuries or damage in the rocket attack Saturday night that disrupted celebrations in honor of the Jewish holiday of Lag B’Omer. Later, the Israeli Air Force responded by striking two terror sites in the southern Gaza Strip. 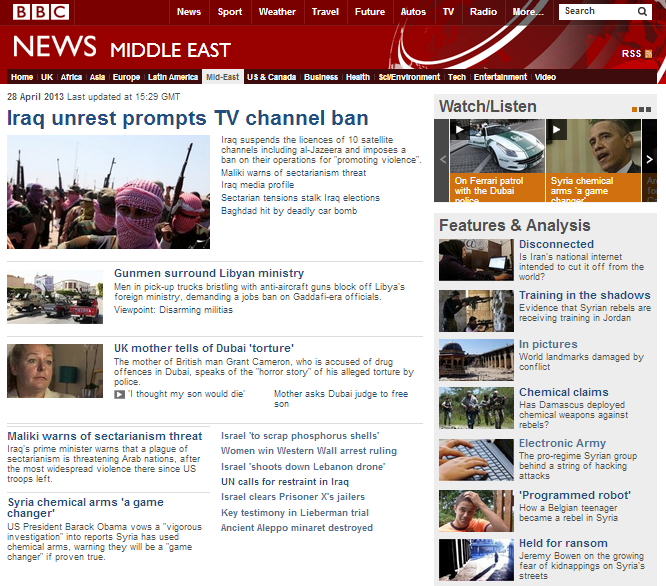 Twenty-four hours later, the incident had received no coverage whatsoever on the BBC News website. As readers will no doubt be aware, this is far from the first incident of missile fire at Israeli civilian communities to be ignored by the BBC since the end of Operation Pillar of Cloud – see here and here. April has been the worst month so far, with 14 attacks originating from the Gaza Strip to date (ten missiles and four mortars), not including the two Grad missiles fired at Eilat from Sinai on April 17th. Not only is it difficult to imagine the BBC ignoring the repeated deliberate targeting of civilian communities by terrorist organisations elsewhere, but the ability of BBC audiences to understand the dynamics at work in the Middle East is hampered by such patchy reporting. Update: Later reports suggest that two missiles were fired on Saturday night rather than one, so the numbers above may not be accurate. Just a day later, on the night of Sunday April 28th, another missile fired from the Gaza Strip hit the Eshkol regional council area. No injuries have been reported. On this recent thread a visitor to the comments section appeared to think that BBC Watch should have some kind of inside information – and opinion – on the cancellation of a programme scheduled for broadcast on BBC Four a few days ago. Like everyone else, we have not seen the programme – which we understand to be a shorter version of a feature film. We are, therefore, obviously unable to comment either on the programme itself or on the speculations surrounding the reasons for its cancellation. Over at Harry’s Place, however, is a link to a blogpost on the subject of the cancellation written by the filmmaker Ilan Ziv. In the comments to a separate blogpost included in the HP article, one notes the sprouting of conspiracy theories connecting the cancellation of the programme to a recent (and unrelated) BBC appointment which has not even come into effect. How tediously predictable and… sad. In the ‘Sussex’ category of the ‘England’ section of the UK page on the BBC News website we find a report entitled “Crowborough UKIP candidate Anna-Marie Crampton suspended” dated April 25th. Somewhat surprisingly – given its record when reporting similar recent cases of antisemitic remarks made by other politicians and public figures in the UK – this time the BBC has found itself able to accurately describe the nature of the statements made. Wishing a happy Lag B’Omer to all those celebrating. 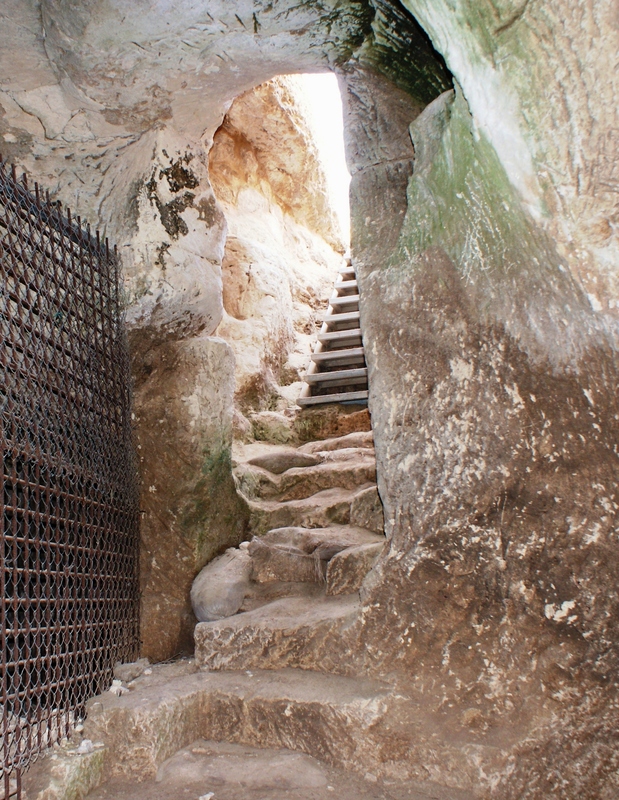 The pictures below show once-secret hiding caves used during the Bar Kochva Revolt at Hurvat Burgin (Kfar Bish) in the Judean foothills. Here is another interesting follow-up story to Jon Donnison’s recent article on the subject of the Bethlehem Marathon. It turns out that whilst Donnison (along with the race organisers and the political NGO ‘Gisha’) was criticising the fact that a number of would-be participants in the event from the Gaza Strip were not permitted to cross into Israel, the organisers of this ‘non-political’ marathon had banned Israelis of all ethnic backgrounds and creeds from taking part. “If The Palestine Marathon had nothing to do with politics, it had everything to do with political warfare. It is likely the first marathon in the history of modern sports that categorically prohibited runners from Israel from taking part, banning Israeli Jews, Muslims and Druse athletes. No doubt Jon Donnison is penning his follow-up article at this very moment. On April 23rd 2013 the BBC News website published a report entitled “Syria has used chemical weapons, Israeli military says“. The article relates to comments made by Brigadier General Itai Brun – head of the Research Division of the IDF’s Military Intelligence Branch – at a security conference in Tel Aviv. The original article was later updated to include subsequent remarks made by the US Secretary of State. 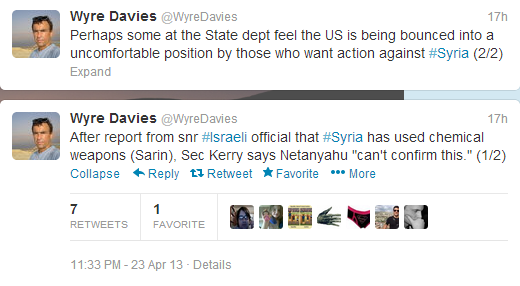 The BBC Jerusalem Bureau’s Wyre Davies gave free rein to his own speculations regarding Secretary Kerry’s comments on Twitter. Of course Brigadier General Brun’s observations came just over a week after Britain and France had expressed similar concerns whilst saying that they believe that they have credible evidence of Assad’s use of chemical weapons. Curiously, however, Wyre Davies apparently did not feel the need at the time to speculate to his Twitter followers that the British and French statements might indicate that the United States was “being bounced into an uncomfortable position” by those countries. And then, two days later, the US administration stated that in fact it has intelligence reports of its own regarding the use of chemical weapons in Syria. Quite how Wyre Davies managed to reach the conclusion from Brigadier General Brun’s observations and the subsequent remarks made by Secretary Kerry that Israel wants “action against Syria” is a mystery. But it is surely a sad indication of a journalist’s priorities when weaving an imaginary intrigue trumps human concern for those on the receiving end of attacks with chemical weapons. 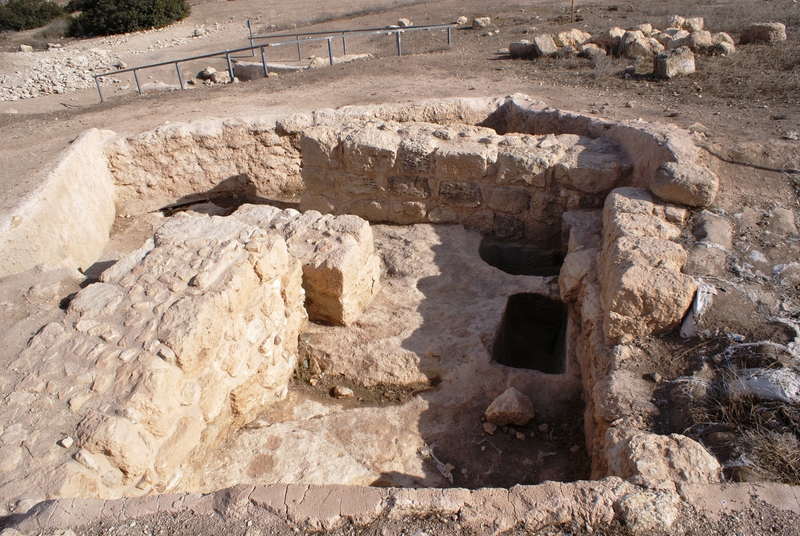 In recent weeks the BBC has produced several reports with an archaeological theme. 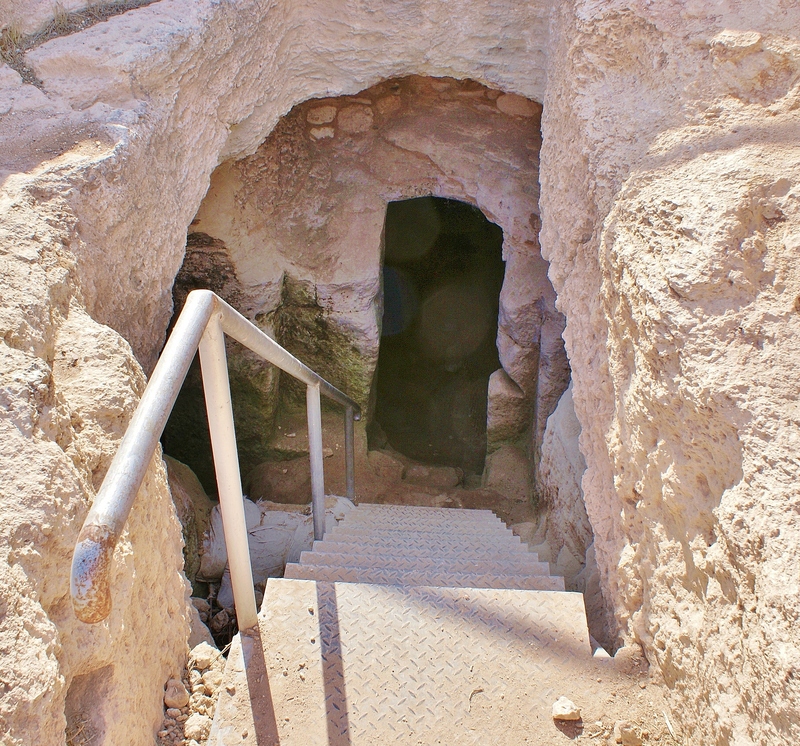 In February the Jerusalem Bureau’s Yolande Knell did two reports on the subject of Israeli excavations of Herodion and more recently Raffi Berg wrote an article about a specific handful of sites included in Israel’s ongoing heritage investment project. The common denominator between those three reports is not however- as may perhaps first seem – the wish to inform BBC audiences about Middle East archaeology and the preservation of historic sites, but the advancement of a specific political narrative. And as we see from the story below, BBC interest in Middle Eastern archaeological sites which cannot be used for such a purpose has its limitations. The Gaza-based journalist Abeer Ayyoub recently wrote in Al Monitor about the bulldozing by Hamas of part of the 3,000 year-old Anthedon Harbour in Gaza – chosen by UNESCO to be a candidate for the status of ‘World Heritage Site’. 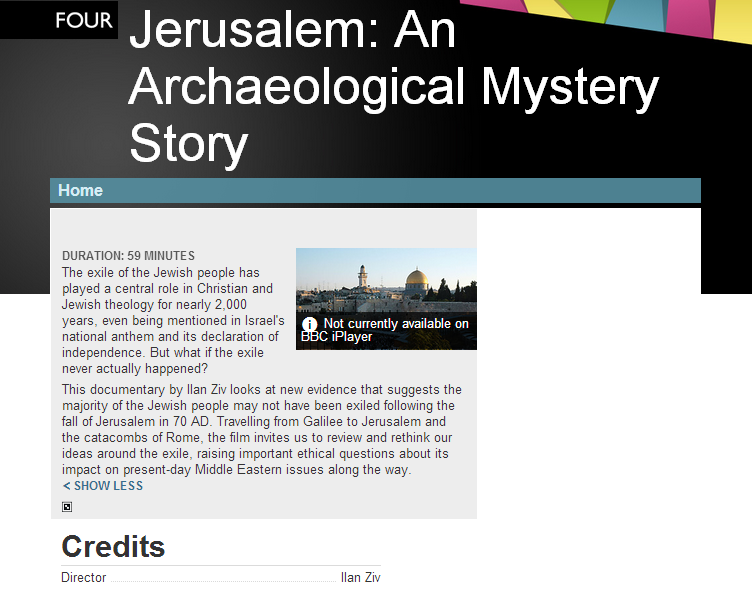 Curiously, the BBC’s generously staffed Jerusalem Bureau has so far shown no interest whatsoever in reporting this story. 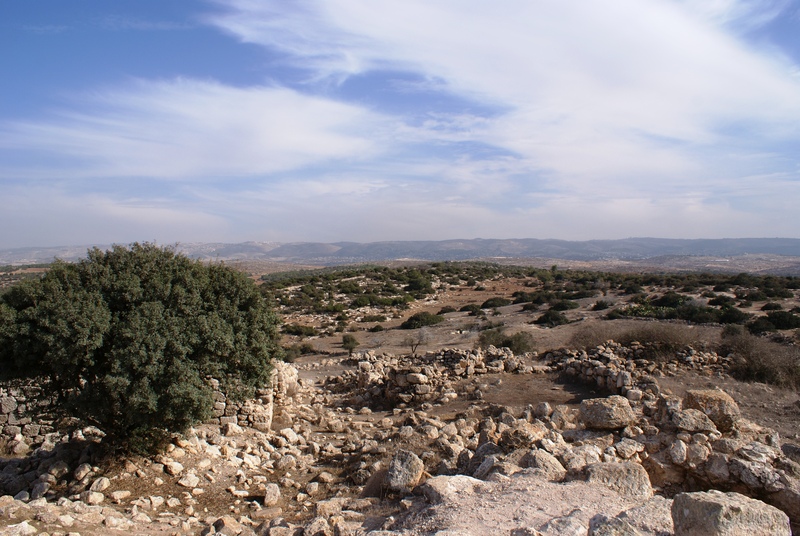 So, whilst critical reports on Israeli projects to preserve important archaeological and historic sites are thick on the ground, the destruction of a prominent ancient archaeological treasure by a terrorist organization remains unreported.